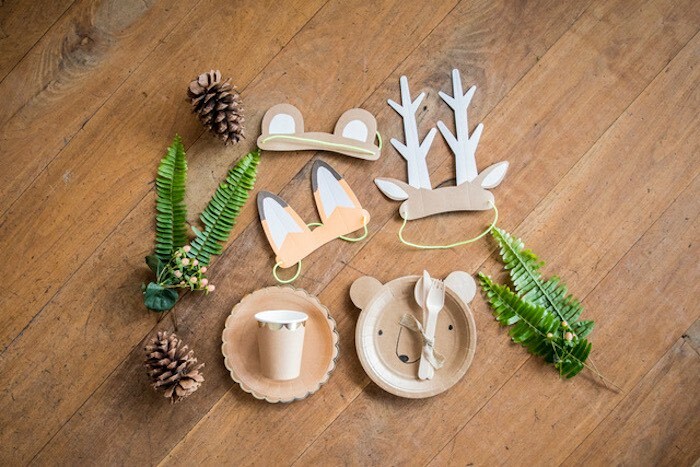 Wandering around, looking for woods and greenery that grows? 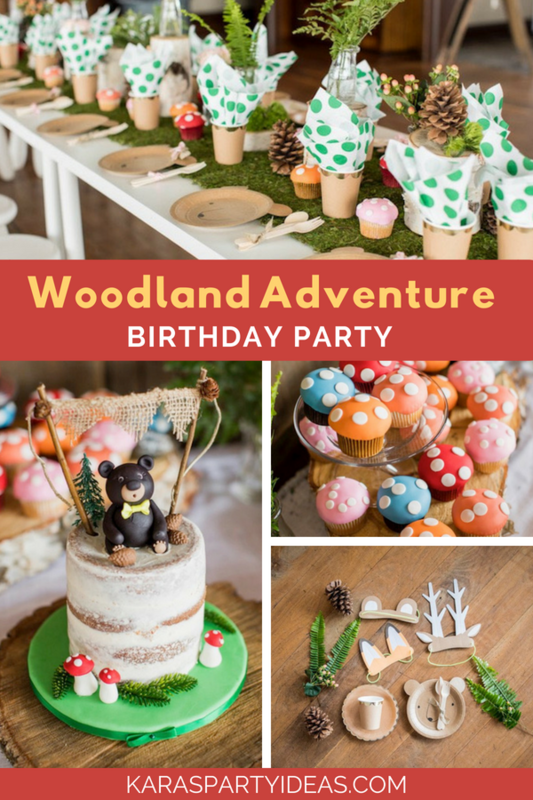 If so, this Woodland Adventure Birthday Party will truly put on a show! 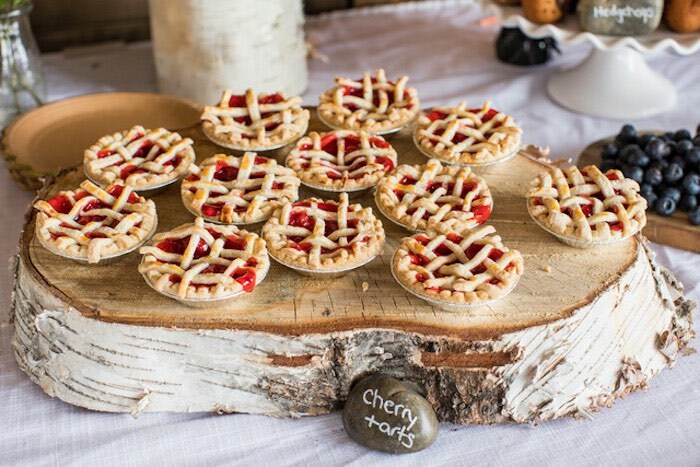 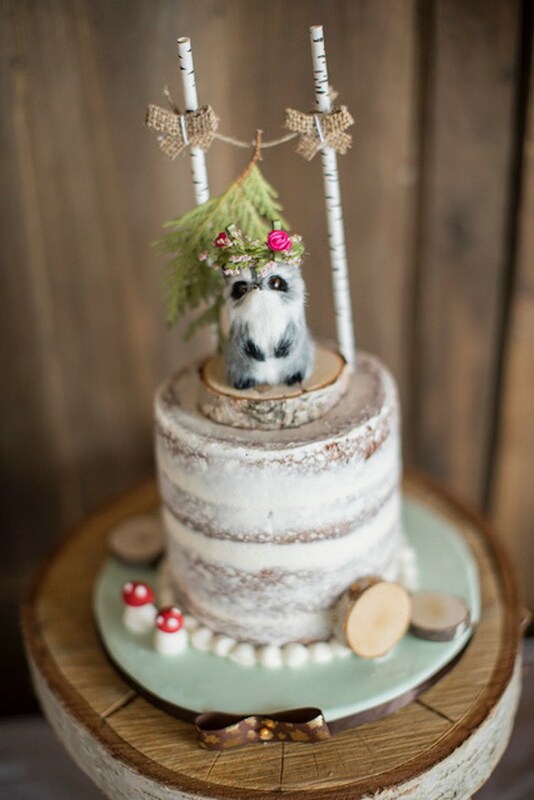 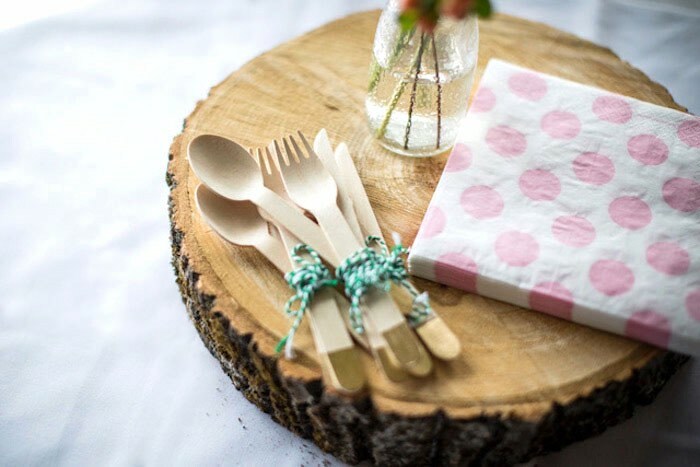 Garnished with details rustic and sweet, this birthday bash by Jenna Deschamps of Perfect Party…in a Box, out of Muskoka/Ontario/Canada, is a woodland treat! 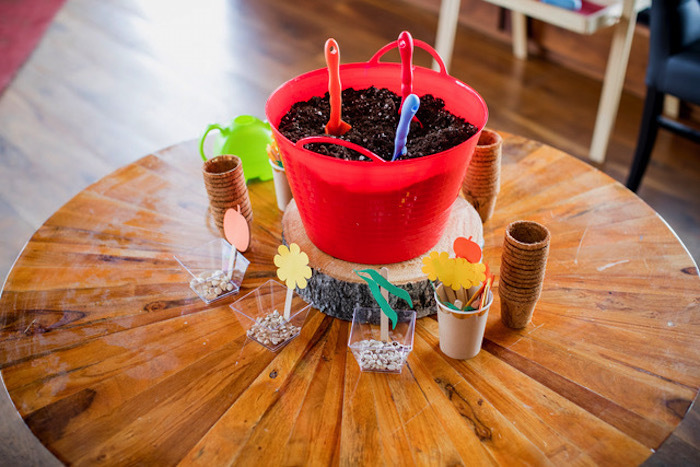 Jennas party description- With blistery cold weather outside, we had such fun transforming an indoor space into a 3rd Birthday Woodland Adventure. 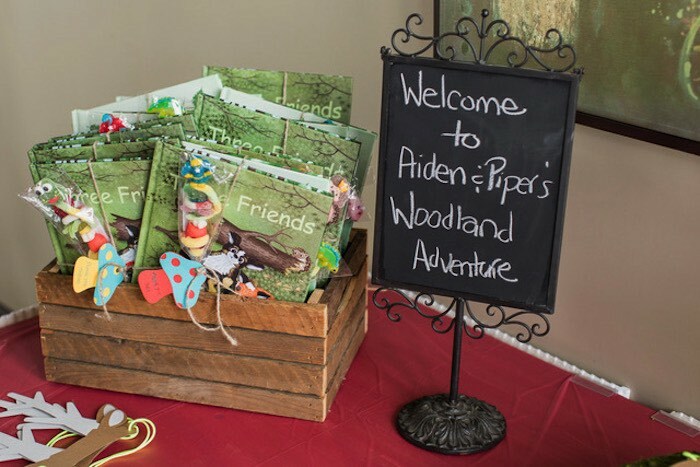 Two best friends joined together and invited their entire daycare class to join in the fun. 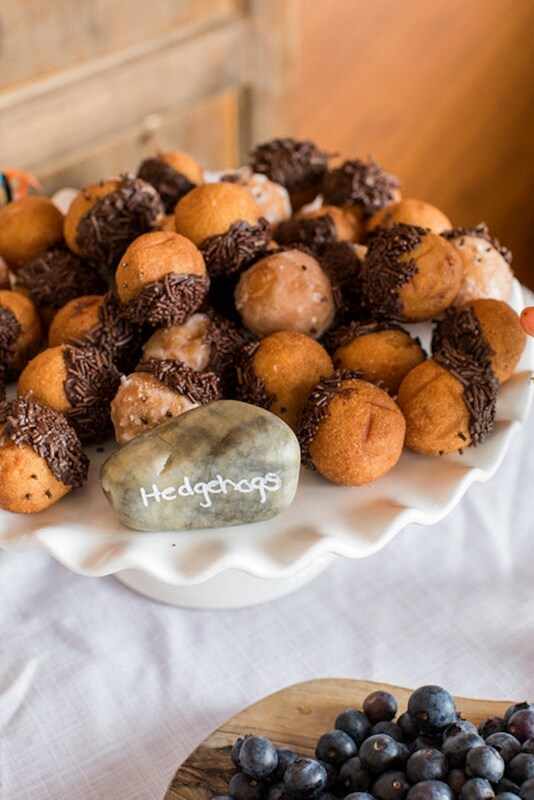 The goal for this party was to balance the ruff and tough with sugar and spice. 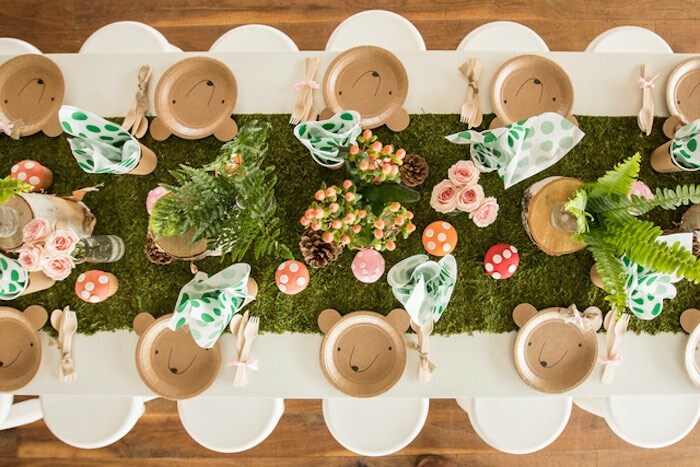 Some of the highlights to make this happen were the DIY pink bows placed on the bear plates. 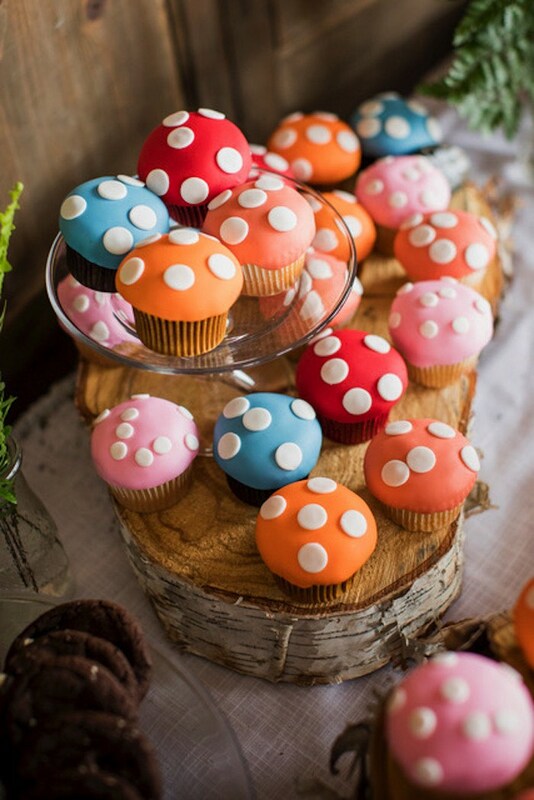 We had his and her cakes designed. 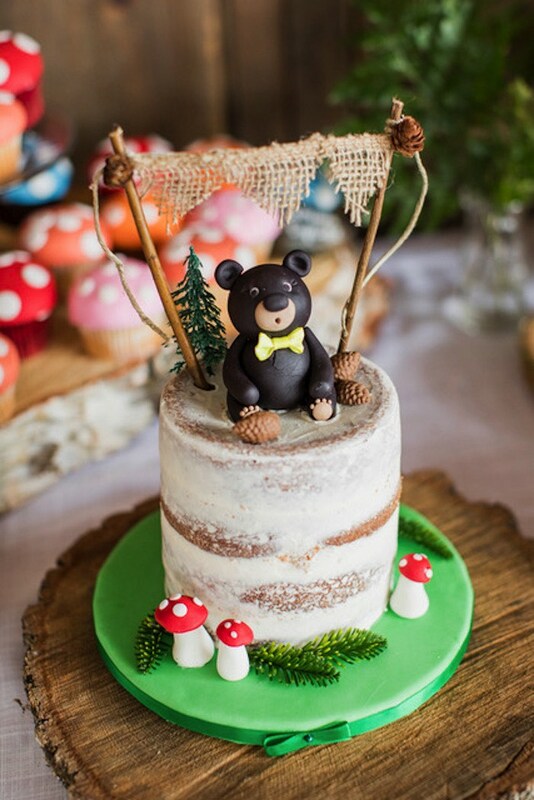 The cake topper had a matching flower crown to compliment the birthday girls party wear. 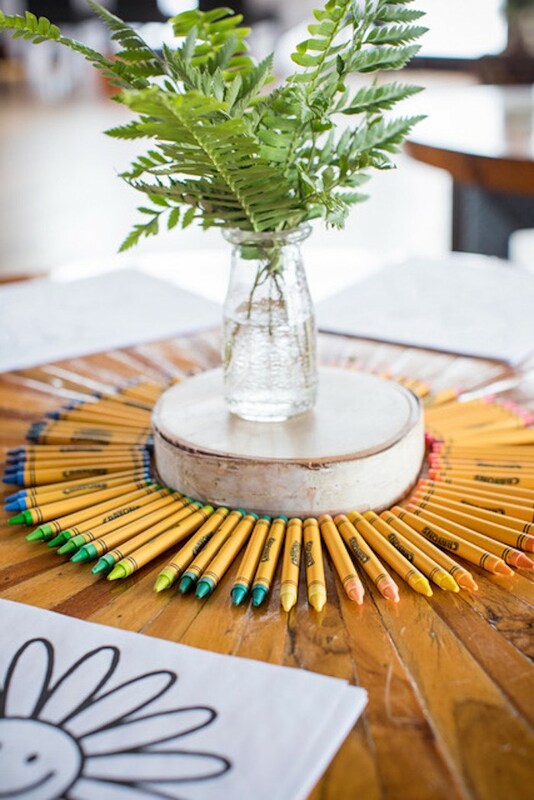 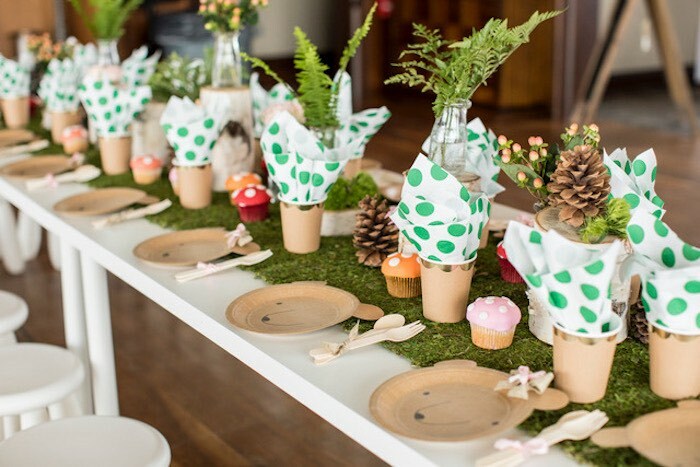 The décor in the room included an earthy moss runner down the middle of the table with highlights of real birch stumps, pink flowers, ferns, and berries. 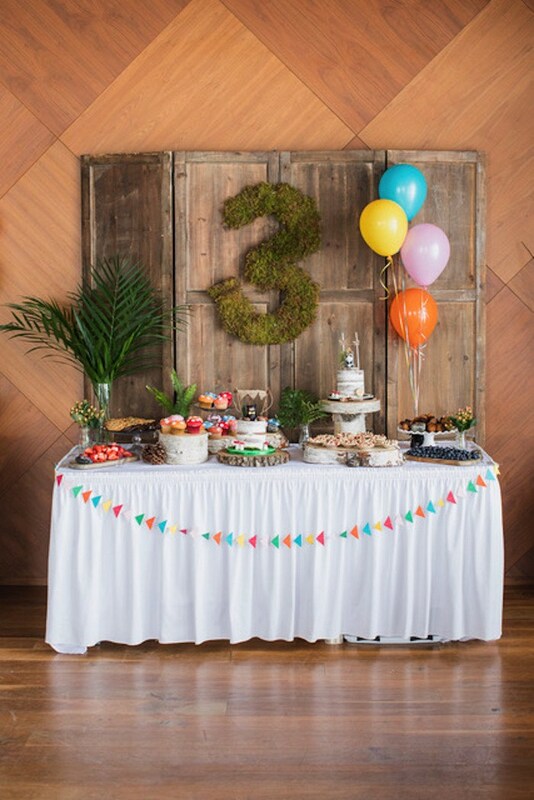 A large moss 3 was the backdrop for the food tables. 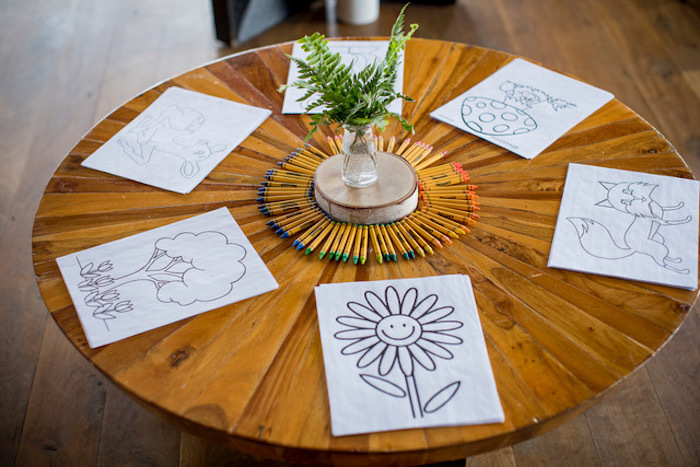 To keep a room full of three-year-olds busy, space was set up with self-guided play stations. 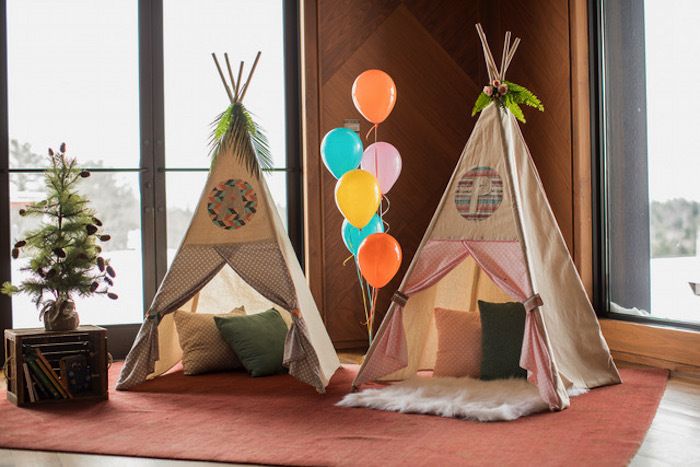 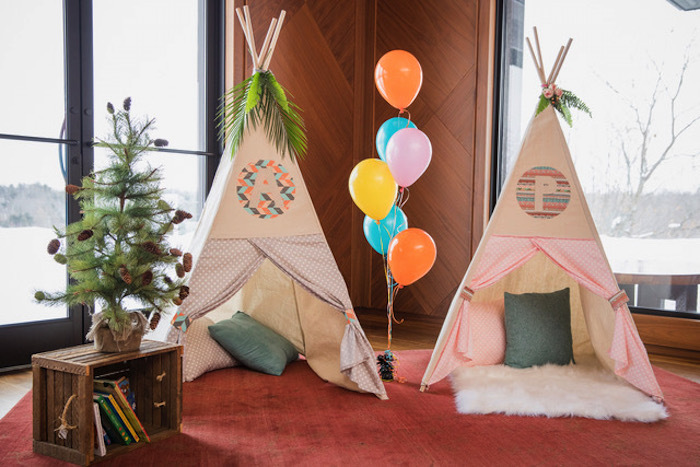 These included a gardening station (which doubled as a take-home favor), a reading station with his and her Tee Pees (custom made for the birthday boy and girl) and a coloring station full of woodland animal printouts. 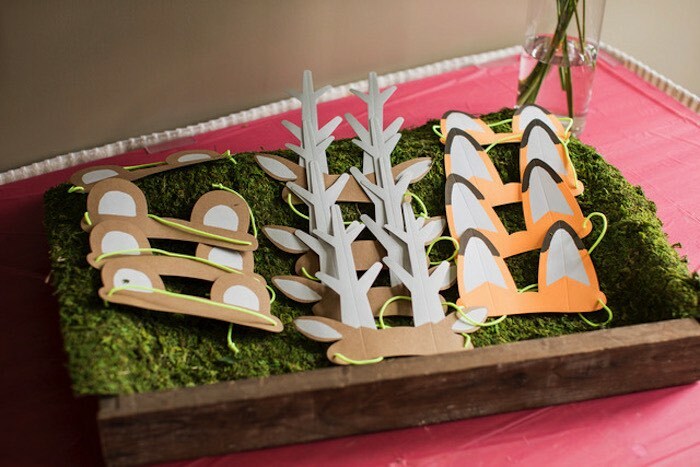 We played magical musical mushroom stools (a take on musical chairs) and each boy and girl received their choice of a bear, fox and deer masks to join in the fun with. 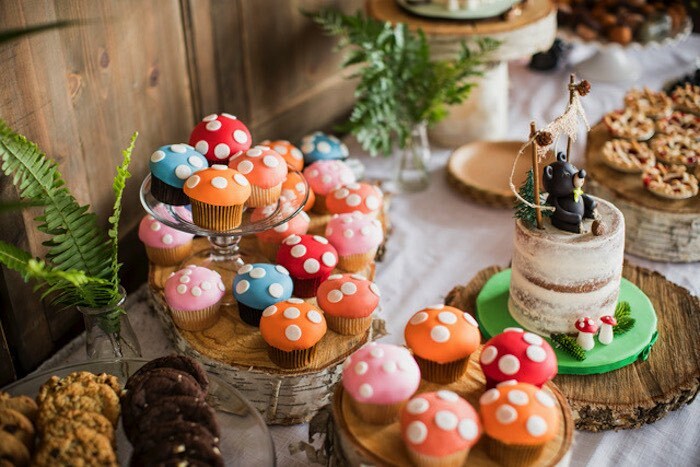 The food table had the birthday cakes center stage with magical cupcake mushrooms surrounding them, mini donut hedgehogs, wood platters with fairy berries (strawberries) and a vegetable garden. 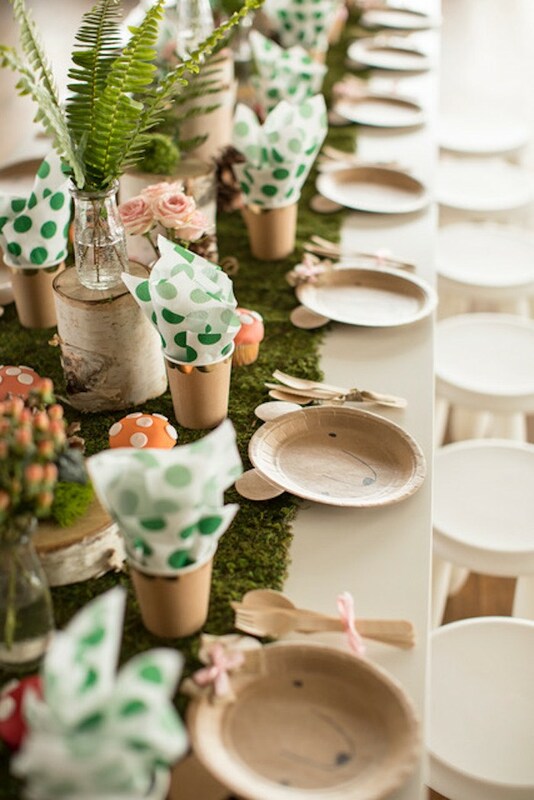 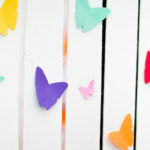 See all of our Woodland Party Ideas here!